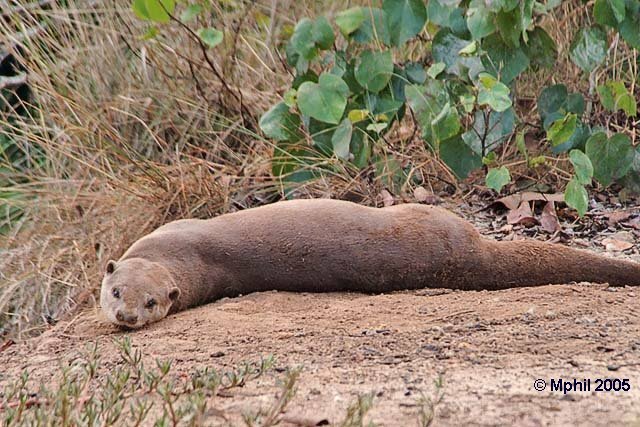 Smooth-Coated Otters need larger bodies of water than the small-clawed otter. The IUCN Red List 2000 represents it as a lowland species, but Harris (1968) records that historically it was found in Yunnan Province, China, at 6000', and it is present today in Nepal. 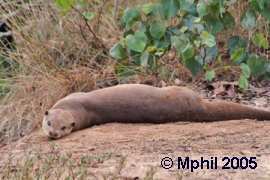 In fact, the Smooth-Coated Otter seems to be quite an adaptable species. It even lives in the semi-arid Sind, and the Deccan Plateau of India. 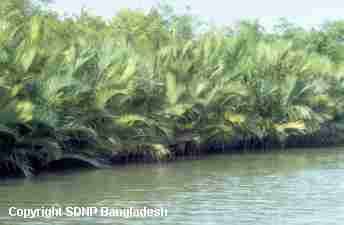 They are also common in the lowland swamp forest of the Sundarbans of Bangladesh. These otters also make use of coastal mangrove swamps, even being seen swimming out to sea, and in Sumatra are even known as "Sea Otters". They also need access to fresh water for drinking and for coat maintenance by washing out the salt as Eurasian Otters do ( Wayre in IUCN, 1977). They make a great deal of use of large, forested rivers, lakes, some kinds of swamps, man-made canals and flood storage reservoirs ( Haque & Vijayan, 1995). They find rice paddies to be very agreeable habitat. Like all otters, they need a fairly diverse bankside vegetation for cover, resting up and bedding material. 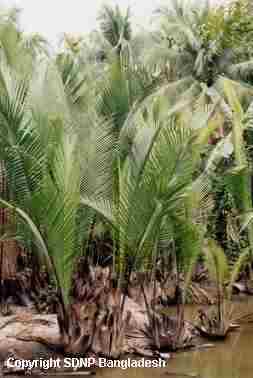 They appear to be capable of coping with seasonal water flow variation - in India, they make heavy use of swamps dominated by reeds such as Phragmites karka during the July-September Monsoon, and the winter months of October to February, but when the marshes dry out, they move into the perennial rivers. Click on the image to see a larger version of a grooming otter - this spot has been in continual use as a rolling place. They like rocky areas for sprainting, and lying up in, and will also use driftwood piles, or if necessary, dig shallow burrows for resting. Badham (1973) shows us that this is an extremely fossorial species, in they also require areas in which they can dig extensive burrows for breeding. These often have an entrance underwater, but contain at least one big chamber above the high water mark. They gather dry grass, reeds and leaves to line the holt as bedding.